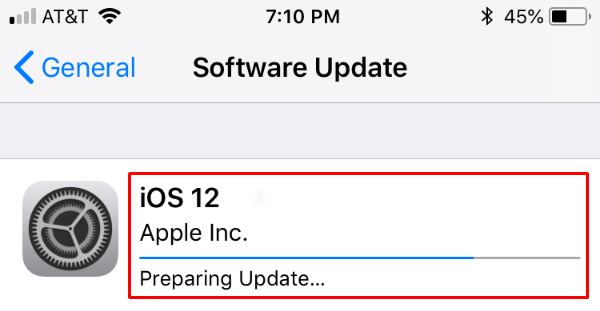 Here’s how to fix iOS 12 OTA stuck on Preparing Update issue on your iPhone, iPad or iPod touch device. Apple’s release of iOS 12 has been bringing mixed emotions to users. Some are delighted that they can download and install the latest improvements to iOS, whereas others are getting a dreaded “Preparing Update…” message which stays there permanently and never actually disappears. Device owners who are experiencing this issue may have been blankly staring at the message for over 24-hours now hoping that it would resolve itself or disappear. Unfortunately, that’s not the case. Follow the relatively simple steps below to immediately resolve the problem and to get the latest update on your device. Step 1: This is definitely an annoying little issue, but worry not, it can be fixed with relative ease. If you are receiving the continuous “Preparing Update…” message, then the first part of the process is to launch the native Settings app on your iOS device. Note: It is required for your iOS device to be connected to a working WiFi or data connection since it’ll be downloading the update once again. 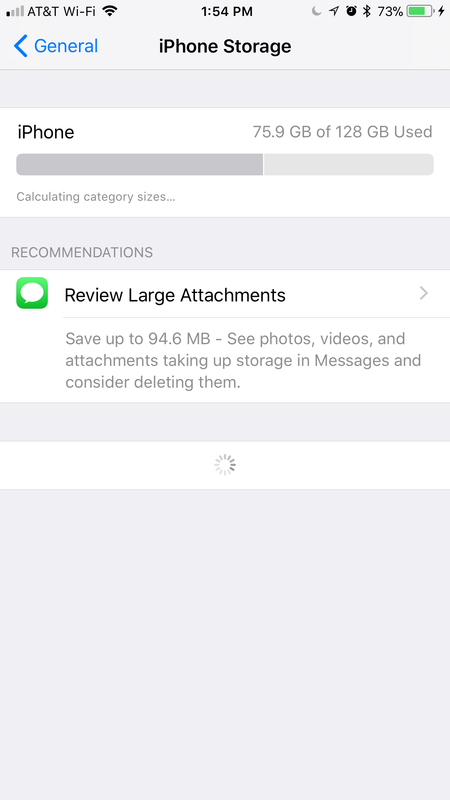 Step 2: When the Settings app is open, head to General > iPhone Storage and wait for the interface and system to load all of the relevant data. This section of iOS calculates all of the storage on the device and gives a great overview of where that storage is allocated and what is taking up the most space. Step 3: Look through all the information that it provides and gasp in horror at where your storage is actually being allocated. 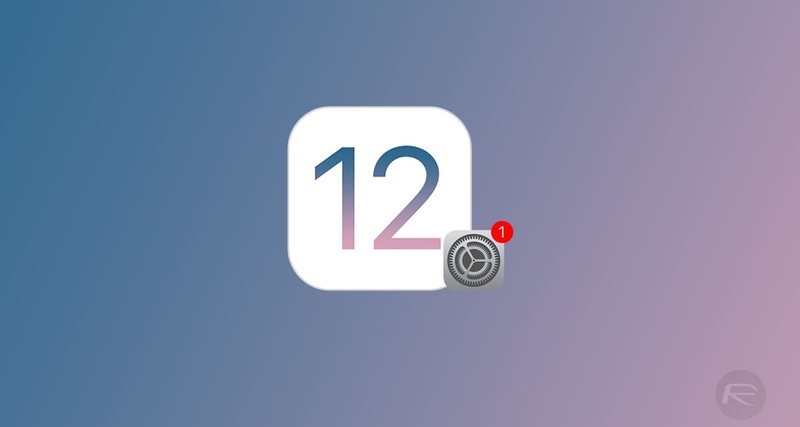 You can go through this at a later date and clean things up, but for now, we are focused on sorting this iOS 12 problem out. Locate the iOS OTA update file, and tap to head into it. Step 4: You can see how much space the file is taking up as well as having the ability to delete the file from the device with a single tap. Delete the file to not only free up space but to also ensure that you can start the OTA download and install process again from scratch. Step 5: Once done, exit out of the iPhone Storage and head to General > Software Update. The interface will refresh and tell you that there is an iOS 12 update available. You should now be able to tap the Download & Install button to begin the whole process again, but this time hopefully successfully. My OTA update on an iPhone 7+ went flawlessly. Nice! Great article, fixed my stuck update… also discovered the nice new storage details with the new version. Thank you so much! Fixed my device and I’m up and running! I had the same problem. Reboot your device and follow the steps again…see if that works. It looks like you have a lot of stuff on your device storage, so it may take a long time for the device to finish it’s calculations….5 minutes or more is possible depending on how busy your device is executing other tasks. restart the whole process, and wait patiently….at least 10 minutes if it takes that long. If that doesn’t work…you might, might have to move or delete some storage such as moving pictures, videos or other large files that are hogging resources. Tap REVIEW LARGE ATTACHMENTS and delete or move them as well.. When I go into ‘iPhone Storage’ I dont see any file about OTA Updates, at all. I have been looking at this prepair screen for 48 hours now or more. This was the fix that worked at the end of a long line that didn’t. Maybe my hair won’t turn white today. Thank you! How is the new beta ? I moved back to 10.3 after beta 4 as it had lot of issue with browser. Selective text to speach won’t work. Was not able to select the whole page in read mode. Bluetooth button on Cc won’t work. So all that fixed or still the same ? If you want to download 2,000 – 3,000 apps on iPhone 7 Plus 256 GB – Turn Off Location Services (My Trick) and don’t unleash the widgets. awesome, it worked flawless! thank you! summary: go to settings->iphone storage -> and delete iOS 11 public beta 5 files and then try again!!!!! Thanks guys! My phone had been doing this for 2 days. No longer. Thanks! At least the iPhone reset/restore process is really painless in comparison to Android’s. hi, im running the latest beta on and iphone 7 plus. i believe i have a problem and i think it is becasue of the beta. Yesteday, in the iphone storage i saw in System, that i had 10gb, today are 16gb. Is this normal or is because the beta? Yes, or just read the article above and not try to be a smarta$$. Wow can’t believe it worked. Thank you. I’ve been staring at that “preparing update” since yesterday. Good job! I got to the iPhone storage and then to the iOS11 public Beta 7 file but was unable to delete it. Delete update button was there which I pressed. Up popped Delete update from the bottom, but when I pressed that delete update button, it just took me back to the iPhone storage screen and the file was still there. Any suggestions on what to do next? This worked immediately, when the download had been stuck for a day. You’re an idiot if you do an OTA update on a major software version release. Always use iTunes, let it wipe the device and put on a fresh full copy.